Mission Control: Please verify that the P1 ATA removal on replacement cap part 1 and 2 are complete. Explorer Captain: DMA, M1, M2, M3 and M4 are complete. Mission Control: Okay. Copy that, Explorer. Dr. Stone, Houston. Medical is concerned about your ECG readings. Ryan Stone: I'm fine, Houston. Mission Control: Well, medical doesn't agree, Doc. Are you feeling nauseous? Q: How did the filmmakers do the scene where Stone sheds her suit in the airlock? Q: Is 'Gravity' based on a book? Q: What is 'Gravity' about? GRAVITY....You Don't SEE It....But You Sure as Heaven EXPERIENCE It! Long Live Alfonso Cuaron! Que Viva Alfonso Cuaron! In just a few hundred words, I will now try to do the film, its director and cast (Sandra Bullock & George Clooney), justice. "The Seventh Art" is a term that seems to have fallen into disuse during the past 15 or 20 years. 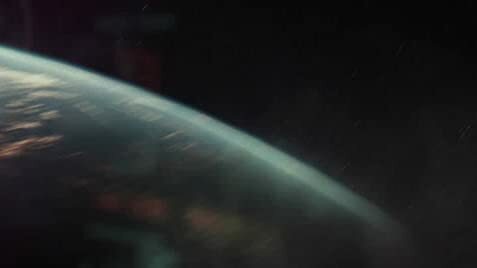 GRAVITY's director, Alfonso Cuaron (Children of Men), has not only resuscitated, but also reinvented it, adding a signature spin all his own. Where is it written that a movie's commercial success is almost always inversely proportionate to its artistic, intellectual and aesthetic quality? GRAVITY, most certainly, brings to mind the adage, "The exception proves the rule!" 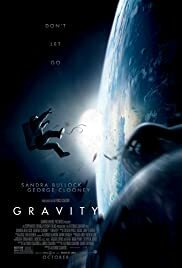 As this review is being written, Gravity is rated 8.5 on IMDb.com, by 184,000, placing it in the all-time film top 75, just behind The LION KING and just ahead of REQUIEM FOR a DREAM. Truly great films are both original and work on multiple levels. How, specifically, does this one manage so much in just 90 minutes? Alfonso Cuaron's poetic visuals enable us to view his reality through the eyes of a cinematic genius. A glimmering tear, floating aimlessly, impacts the viewer with a Tsunami of emotion. The breathtaking, yet surreal, backdrop of hovering earth and stars provides an ever-present reminder of both our relative insignificance on a cosmic scale and the fleetingness of our problems, however transcendent they may seem to us in the moment. GRAVITY communicates more via imagery and resourceful, subtle, yet intense acting, than it does through dialog. The dialog here mostly serves as a buffer, a veneer, to calm and disguise extremely turbulent inner-emotions. Some of life's great tragedies are framed in the most insipid of words. There is genuinely something for everyone here. If gut-wrenching is what you seek, there are some chaotic, frenetic and viscerally charged moments. Almost forgot to mention, GRAVITY's use of 3-D is never over- the-top, in- your-face nor employed gratuitously. It is deftly and strategically used to highlight on-screen occurrences, not to detract from them or be the sole focus, per se. Bullock's character, Dr. Stone, who at first seems utterly driven to achieve perfection, is in reality locked into a self-induced drone like state of professional isolation, resulting from a profound loss she seemingly refuses to come to terms with. The inner conflict this causes her and Bullock's ability to involve the audience in her character's catharsis translates into moments of overwhelming poignancy. .
Why is her performance Oscar worthy? Ms. Bullock literally carries the entire last half of the movie solely on her shoulders and her performance is tersely awe-inspiring. Very few Hollywood actresses could pull this off. And to think that initially she wasn't on the short list for the role! 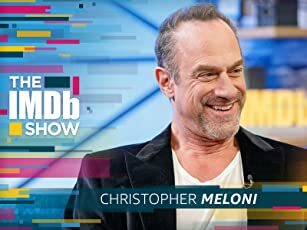 George Clooney's character, larger-than-life, veteran astronaut Matt Kowalski, is the jovial kind of guy who can be a bit of an ***hole at times, but amazes you with his simple selfless professionalism when it really counts. In this supporting role, the on screen platonic chemistry with Sandra Bullock is uncanny. Honestly, some of the best I have ever seen. It captures your soul! Some really fine films try to provide the right answers. After experiencing GRAVITY, you'll be asking yourself many of the right questions.